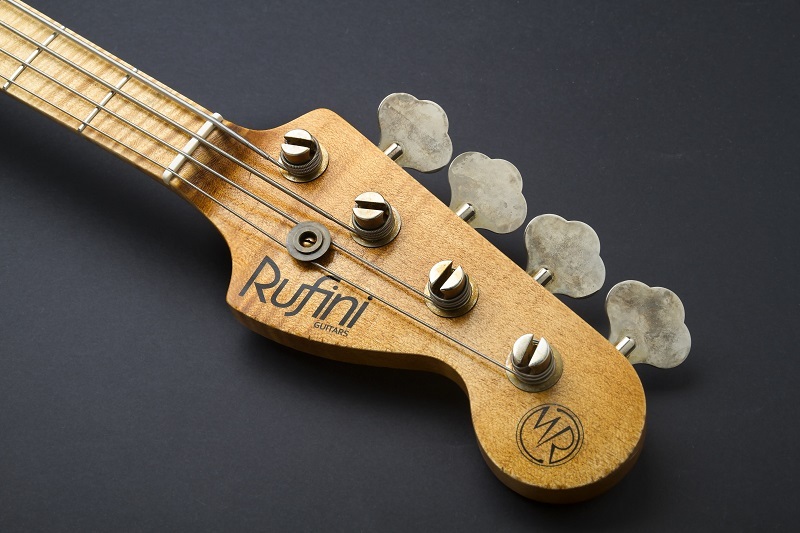 If you followed my build diary so far you’d have seen Matteo Rufini has been busy putting the final touches on my new instrument which is now ready and will be shipped to me tomorrow. Special thanks to Gianfranco Tortoioli for the amazing pictures. I must say, from the pictures it looks stunning and I am really impatient to rip the packaging to shreds, open that case and smell that wonderful aroma of wood and fresh paint. I am loving what Matteo did with the relic work. It’s very subtle but effective; also, now I won’t have to take off my belt every time I play! The flame maple neck looks amazing and only has a very thin coat of finish that makes that veneer pop through nicely. 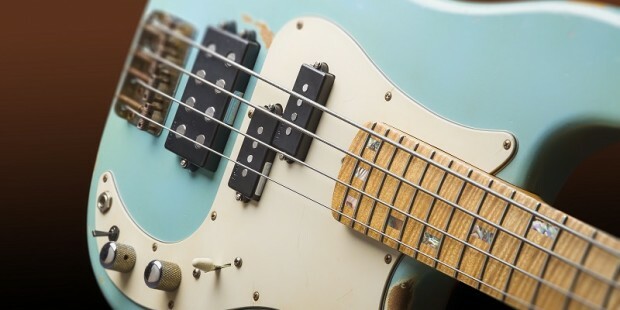 Something I did not talk about during the build diary is the decision to have a 24 fret neck mounted on a traditional P bass body without extended cutaway. I have another instrument which is basically that, a P bass with 24 frets. Somehow, when I play that I can feel there is a slight imbalance of proportions as if the bass sits at an awkward angle. After a bit of searching I noticed it’s because the body shape accommodates for the extra length of the neck and it feels ever so slightly unnatural to me. I mean it’s not a massive issue by any stretch of immagination but I can feel it and it kinda puts me off sometimes. 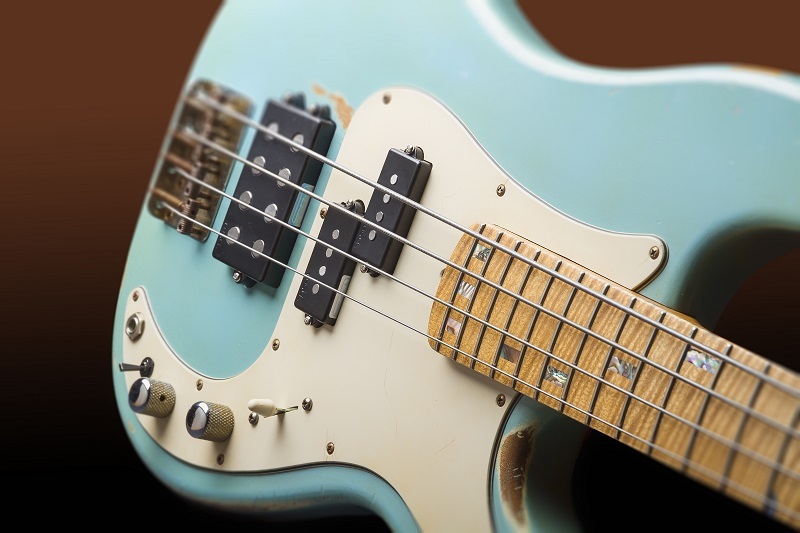 The neck / body joint on this bass only offers easy access up to the 21st fret but I decided for the 24 fret option anyway because I use a fair amount of touch style / tapping technique. That way I can still access the high notes on the neck but at the same time retain the vintage feel of the instrument. I’d like to spend a few word about the pick up configuration. Well first of all I really need to thank Tesla Pickups and their fantastic products. Those pick ups are the bomb! Everybody who’s played the bass so far has said it speaks with the voice of God. I have Teslas on other instruments and they never fail to impress me with their sound. Seriously, you should check them out, they’re high quality stuff. 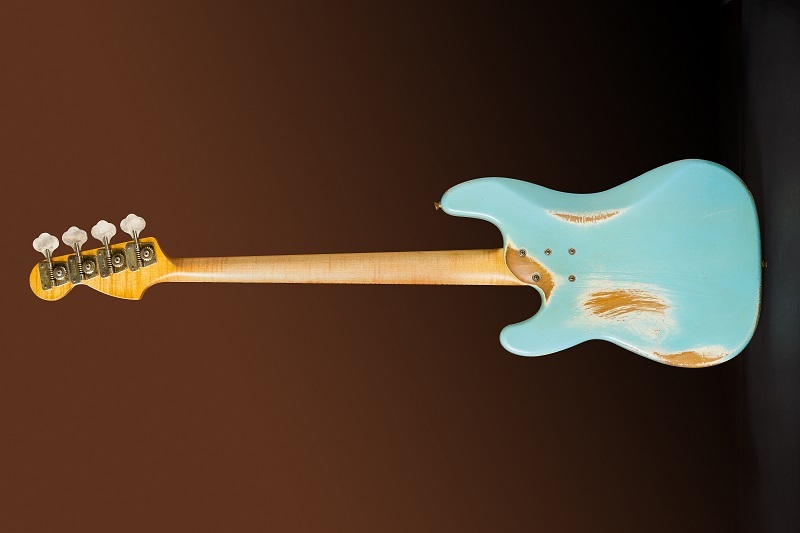 The pickup configuration was actually the original reason why I wanted a new instrument. During the past few years I’ve been blessed with a thriving career both in the studio environment and live. I have my collection of instruments and I have my palette of tones I go for depending on the sound I want. 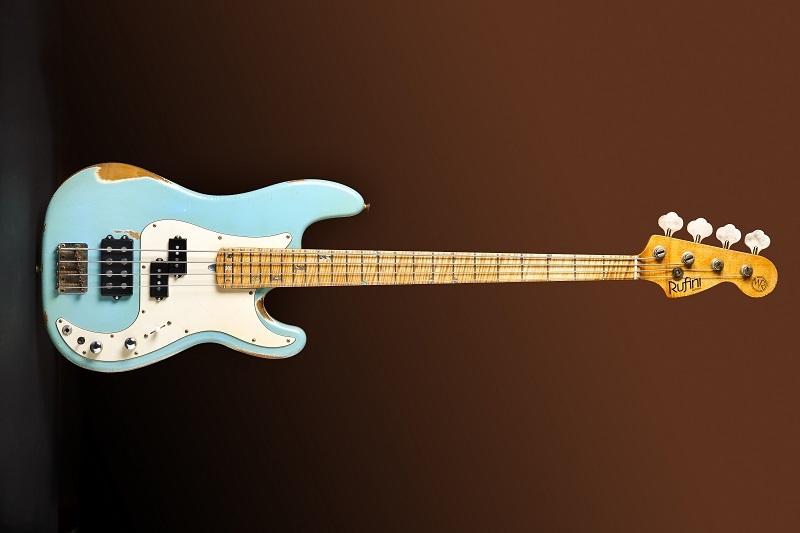 Fact is I kept on wishing a given quality of a certain instrument belonged to another bass with a better feeling neck, etc; so it was only natural to compile a wish list and come up with a Swiss knife kind of instrument, the one that’ll be my first choice whenever I head out for a session or a gig. 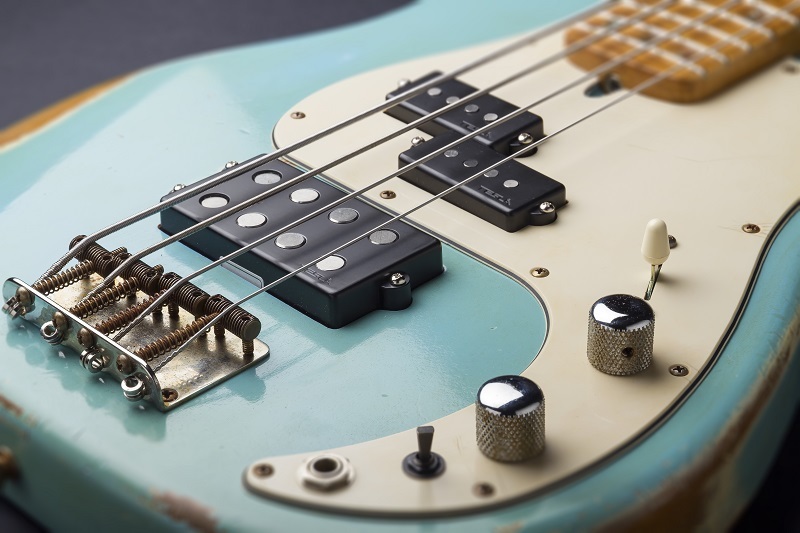 The layout is pretty straightforward: I have a P bass pickup in the traditional neck position, so I can cover the classic rock and Motown tones and then a beefy Music Man humbucker near the bridge, when I need some funk / modern (ish) / heavy rock gnarl. The humbucker comes with a three position switch that gives further tonal options: I can run it in parallel, series or single coil mode. 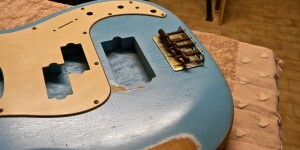 Pair that with the option to blend the front and back magnets and you end up with a tone monster!